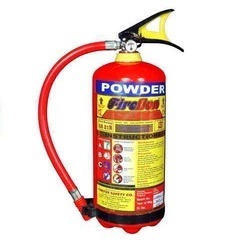 We are manufacturer and supplier of Fire Axe, Fire extinguisher , Safety shoes, Safety Helmet, safety Jacket , safety goggles, safety mask, safety industrial safety shoes, safety net , construction safety net , ISI mark Ce marked safety items ppe we have Safari Pro safety shoes , Tiger safety shoes, Allen cooper safety shoes to various cities like Delhi, Noida, Ghaziabad,Mumbai, ahmedabad, chennai, bangalore, Faridabad, Gurgaon, Sonipat, Ambala, Karnal, Bhiwadi, Neemrana, Bulandshahr, Kanpur, Lucknow, Varanasi, Allahabad, Dehradun, Haridwar, Chandigarh, Shimala, Panchkula, Ludhaiana, Gwalior, Jhansi, Agra, jaipur, Nagpur,Sholapur, hosur and many more. Having loads of experience behind us, we are here again to deliver optimum quality Fire Extinguishers to our worldwide clients. 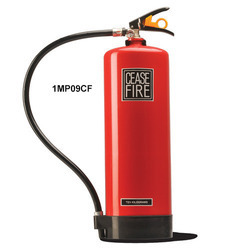 ABC Fire Extinguishers. ... They use monoammonium phosphate which is a dry chemical that is able to quickly put out thefire. It is a pale yellow powder that is able to put out all three classes offire; Class A for trash, wood and paper, Class B for liquids and gases, and Class C for energized electrical sources.